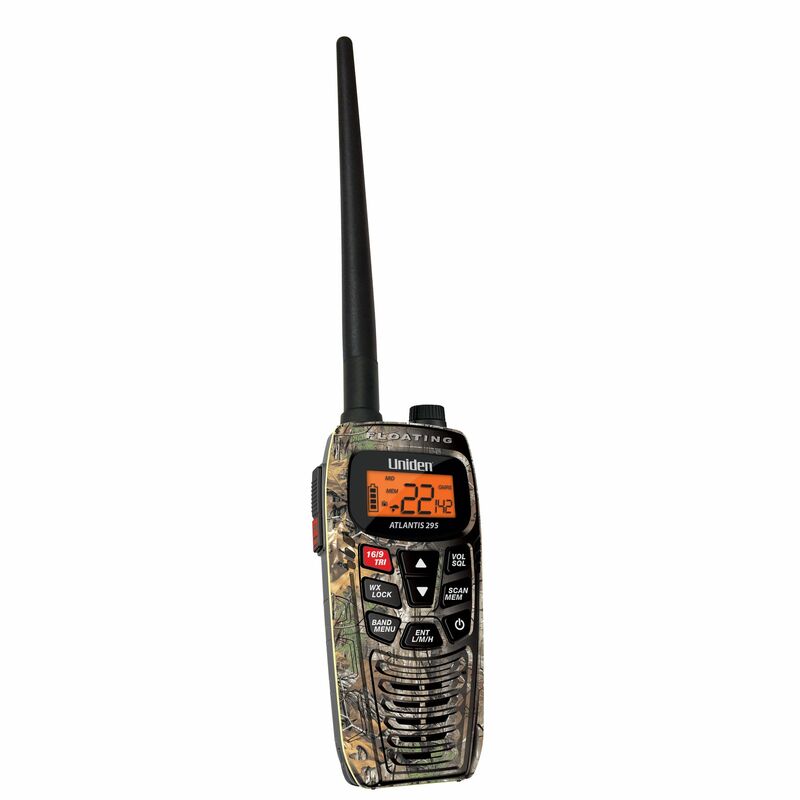 The feature-rich Uniden Atlantis 295 Dual Band VHF/GMRS Handheld Radio keeps your line of communication open even when Mother Nature tries to close it. The Atlantis 295 features a JIS7 Tru Waterproof™ floating case, glow-in-the-dark seals and power key, Power Boost PIT (1/2.5/6-watt), call alert with vibrate, alkali battery tray, and 2.5mm headset jack. A rechargeable Li-Poly battery keeps this handheld radio powered for up to 10 hours while an integrated belt clip keeps that power close at hand. The Atlantis 295 Dual Band Handheld Radio includes AC and DC power adaptors, and a charging cradle. TRU Waterproof (JIS7) - FLOATS!